This entry was tagged Exterior Painting. Bookmark the permalink. "Village Decorations recently painted the exterior of our house. I was greatly impressed by the quality of their work, the value for money and the friendly and trustworthy service. It's rare to see all those attributes in a company that works in your home. They certainly go the extra mile to complete the job. What a find!" Ms S. James, Hither Green. 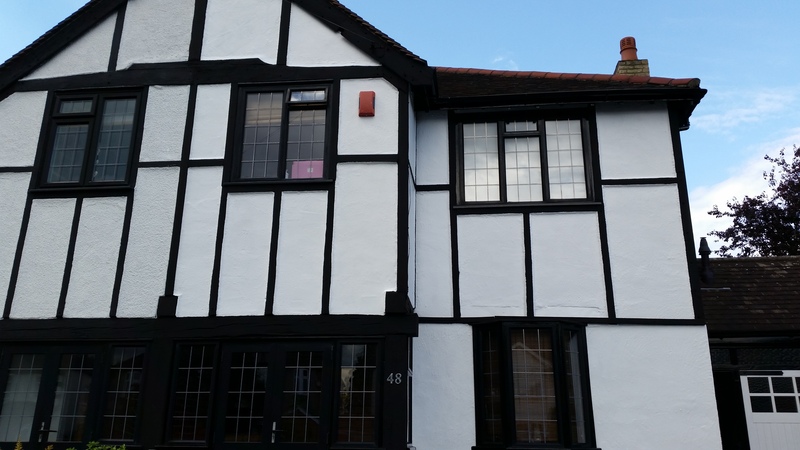 "We hired Village Decorators to carry out redecorating work for our charity and we wouldn't hesitate to recommend them to any other organisation. The work was carried out in a timely fashion and the finished job was excellent. Thank you. " "You have done a marvellous job for us, we cannot thank you enough. You put in a very competitive quote and we are so glad that you agreed to work for us. You were so meticulous in clearing up after you each day, I think you left our carpets cleaner than when you arrived. It was nice to have you around the house. A big 'Thank You' and we look forward to seeing you again in the Autumn."